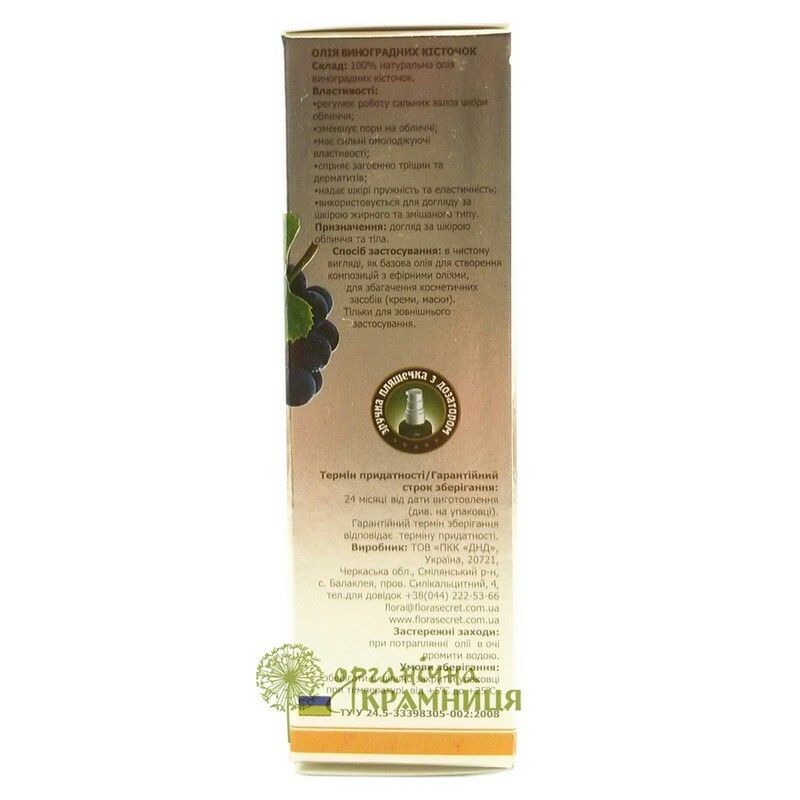 Grape seed oil is produced by the Ukrainian beauty brand Flora Secret. It is a 100% natural, high-quality product for your health and beauty. The oil is obtained from the grape seeds by cold pressing. This method allows to preserve all its useful properties. Grape seed oil is very light and absorbs well without leaving your skin feeling greasy. The bottle has a convenient dispenser that makes it easy to use. Composition. Grape seed oil contains saturated, polyunsaturated and monounsaturated fatty acids (linoleic acid, oleic acid, palmitic acid, stearic acid, alpha-linolenic acid and palmitoleic acid), tocopherol (vitamin E), steroids (campesterol, stimgasterol, beta-sitosterol), minerals, flavonoids, and lecithin. Properties and use. Grape seed oil is used as a carrier oil. It helps to regulate sebum secretion, tightens pores, improves skin elasticity, provides a rejuvenating and anti-age effect, and accelerates the healing of minor skin injuries. 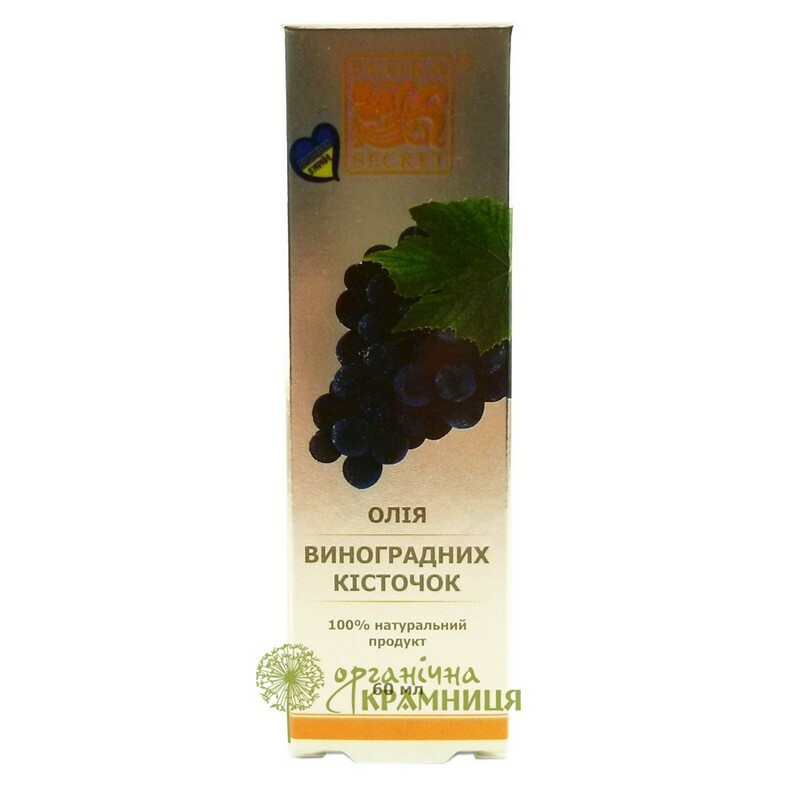 Grape seed oil is great for taking care of oily and combination skin, it is also suitable for mature skin. Ingredients. 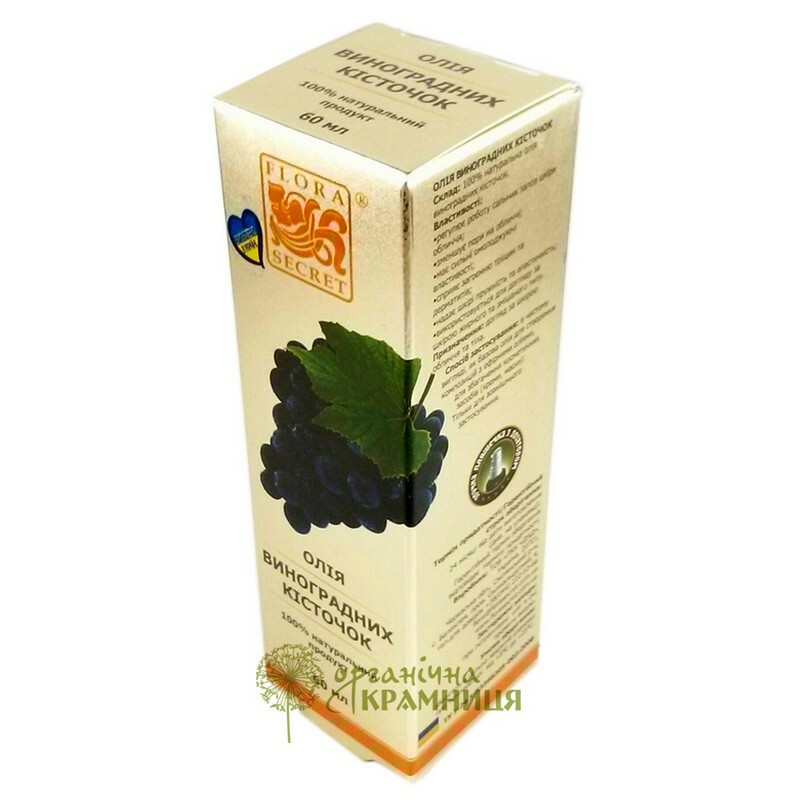 100% Natural Vitis Vinifera (Grape) Seed Oil. Grape seed oil is one of the best carrier oil. It is veryt light, absorbs almost instantly, and leaves by skin feeling soft and luxurious. The purchase arrived in time and was packaged really well.